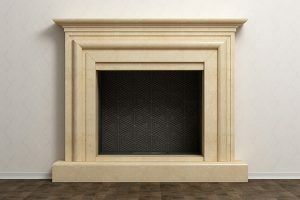 Home > Blog > Does a Fireplace Add Value to a House? Does a Fireplace Add Value to a House? A fireplace is one of those amenities that draws the curiosity of home buyers. If you want to add value to your home and gain in functionality, installing a fireplace may be a great idea for you. Read on to find out more about the factors that influence how much value is added to your home with a fireplace and the types available to you. What Are The Factors That Affect How Much Value A Fireplace Adds? According to a Washington Times article, many more homeowners nowadays opt to get a fireplace in their home as compared to fifty years ago. 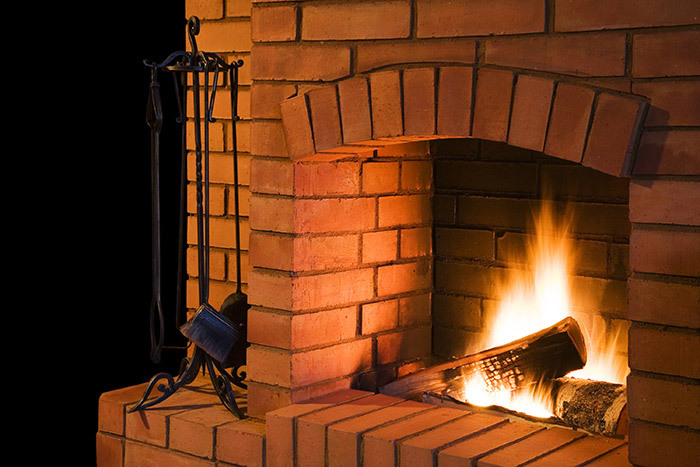 The National Association of Home Builders states that 60% of homes, as of 2012, have at least one fireplace, whereas that number was right at about 30% in 1970. 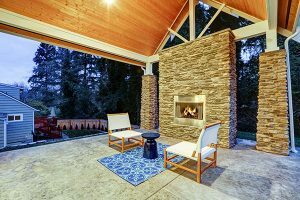 In addition, people who were looking to buy a home listed having a fireplace as one of the top three features they wanted after an outdoor porch and a new modern kitchen. In fact, most people would actually pay more for a home that has a fireplace than one that doesn’t have one. The difference in the amount that they are willing to pay varies from a bit over $1000 up to $10,000 and possibly more! However, whether or not a fireplace will truly add to the value of your home depends on many factors. Notably, the location of your home is an important factor in assessing whether or not the fireplace will indeed add value. If you live in an area of the United States with a colder climate, your home is bound to have an added value due to the fireplace. In the New England area and Northeast region where the weather can get very cold, fireplaces are truly coveted features of a home. However, they’re just as popular on the West Coast and the South even though the weather is usually warm. In these areas, the fireplace can add to the décor and give a nice feel to a home, especially older plantation-style homes in the South. 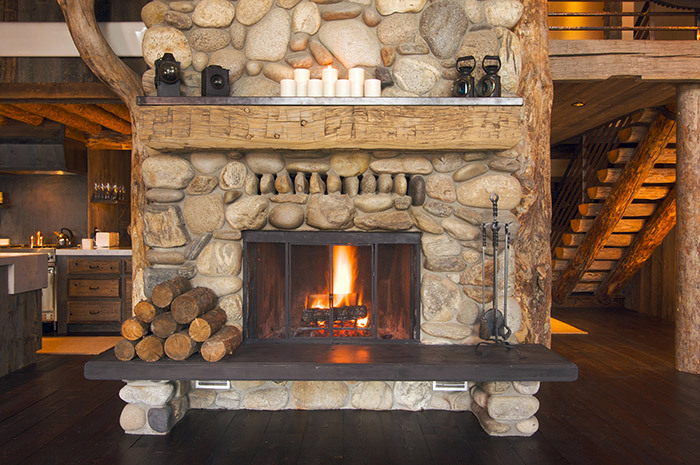 A fireplace can be just as aesthetically pleasing as they can be functional. The type of home you have will also dictate whether or not your fireplace truly adds value. A nicer, more stylish home will be able to truly benefit from a fireplace because of the added value. People looking to buy homes will possibly expect a fireplace to be in a more modern home since they’ll be looking for more upgraded amenities. If your home has many repairs that will need to be made, or it is lacking in basic upgrades like a more modern kitchen, a fireplace may not be something that potential home buyers are willing to pay for. The style of the home will also influence how much a fireplace adds to your home value. If your home is a traditional colonial, for example, a fireplace will look perfect in the living room. Plantation-style homes or historic buildings also benefit from fireplaces since the older, traditional setting meshes well with the look and feel of a fireplace. However, a home that is tech-savvy, ultra-modern or more modern may not go well with a fireplace. These types of dwellings may work better with an electric fireplace or one that is built into an entertainment center, for example. How Much Does It Cost To Build A Fireplace? The price of adding a fireplace can greatly vary based on a few different factors. First, each municipality will have different codes that regulate the type of fireplace and construction requirements. Each municipality will have different requirements for the chimney height, the firebox, the flue, the limit for emissions, and more. It is important to check with your township or municipality office for these standards. Depending on those standards, your fireplace type and how much it costs to install it will change, either a little or a lot. If you opt for a factory-built natural gas fireplace, you could look at a few thousand dollars for the purchase. The installation price can then be a few extra thousand dollars. A propane unit will usually run around the same price. Where Should I Add A Fireplace? There are two general rules of thumb for knowing where to add your fireplace. The first place where one would add a fireplace is in the most used room of the house. This tends to be the den or the living room. 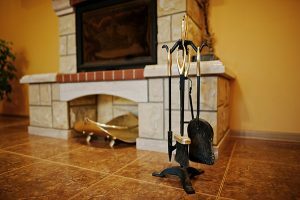 People who will pay extra for a home with a fireplace generally want to know that they’ll be able to use and benefit from the fireplace, even if they wind up using it only on rare occasions. These parts of the home also tend to be more stylish and decorated, so a fireplace that adds value and appeal will fit well there. Another option is to add a fireplace to the area where you want to create a certain feel. For example, in homes with more rooms, you can add a fireplace to an office area. This will help to make the office feel cozier, and it gives off a classy, traditional feel. What Type of Fireplace Should I Buy? The traditional wood-burning fireplaces have their advantages. They look classy and are able to be operated by anyone who has the time to get some wood and knowledge to know how to use them. Wood fireplaces though can sometimes not be energy efficient. 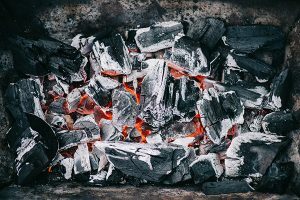 Much of the heat will escape out of the chimney, and if you don’t have the proper know-how, you may wind up with creosote or noxious fumes flooding your home. Another option is to go for a propane fireplace. Propane is perfect for those who want to be able to have a working fireplace when the electricity goes out. They are relatively easy to use, and you can opt for a standalone unit or pick one that has an insert into an existing fireplace. You can get a propane fireplace that has a fake log, but gives off that traditional feel of a wood burning fireplace. Depending on the size of your home, you will want to get a fireplace that is capable of more BTU’s, or British Thermal Units. This will measure the heat output. If your home has more than one bedroom, consider a fireplace with more BTU’s. If you live in a smaller area and don’t necessarily need the heat to go into other rooms, you can choose one with a lower BTU. No matter how you look at it, a fireplace is a great investment. It is a functional add-on that will warm you up and add coziness to your home. Depending on where you live, the fireplace can also add a great amount of value to your home. If you live in a colder climate, you could be looking at thousands in value added. Plus, as a popular amenity, a fireplace could attract more potential home buyers to check out your property. 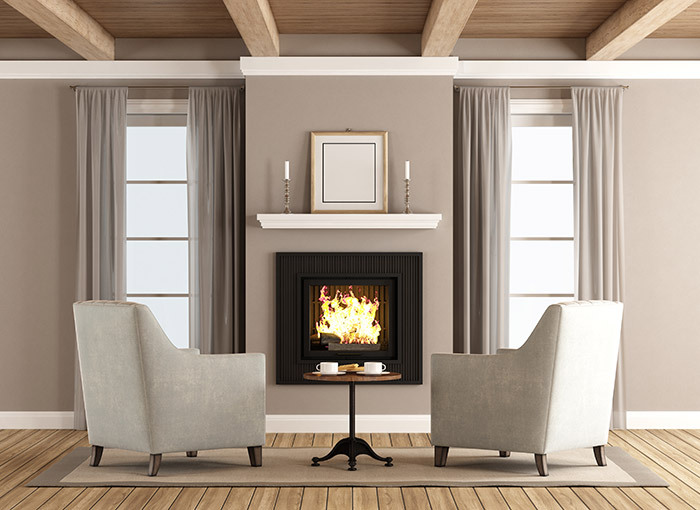 Whether you’re looking for a gas log fireplace, fireplace insert, dampers or glass doors, Early Times has you covered with the best products in Chicagoland. We’ve been providing the absolute best since 1985 and would love to help you with your next fireplace project. Get a free quote online to start your fireplace project with us and see why so many homeowners trust Early Times.